This page showcases new marine technologies - especially those which are clean, quiet, and have low emissions. We also look at an aid for navigation that will help you get home despite the fluctuating magnetic deviations introduced by the iron spokes in your steering wheel. 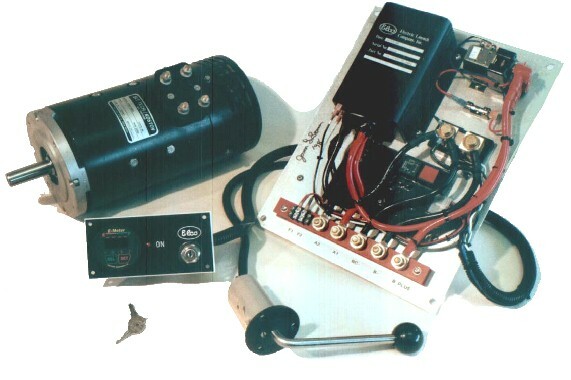 Elco's electric drives and charging systems are available to boat builders, dealers, and private owners. They can be specified for new hulls or retrofitted in most displacement type boats such as, canoes, catamarans, center console boats, classic replicas, deck boats, dinghies, fishing boats, folding boats, houseboats, hunting and duck boats, launches, pontoon boats, rowboats, skiffs, sailboats and work boats or most any displacement hull up to 40' in length. 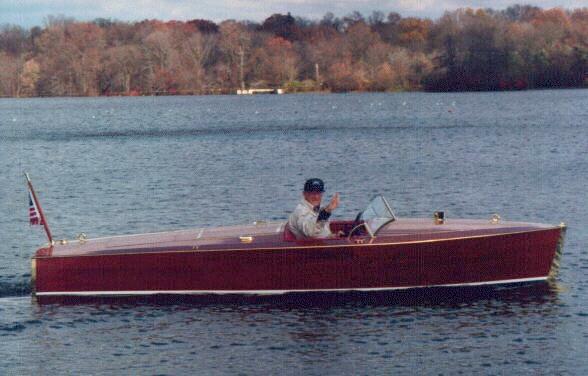 Bass boats and cruisers may also be converted to electric. Elco's reliable electric drives come in the 2 to 8 horsepower range and operate from 24 to 72 volts with DC shunt-wound motors, controllers, side mounted throttles, and instrument panels combined to provide proven, reliable operation for years of trouble-free, low cost service. 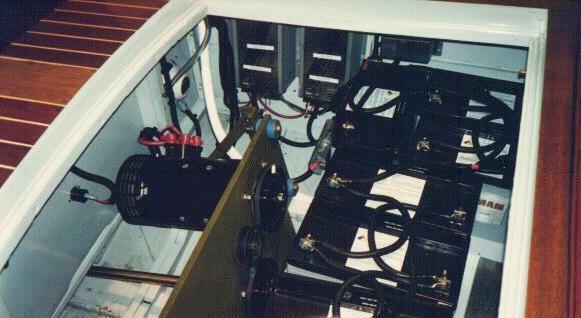 Elco electric drives and charging systems provide up to 50 miles of range or "go all day" on a single charge, depending on your battery bank, at a cruising speed of four to eight knots. Recharge overnight and you are ready for another full day's cruising. Skilled factory representatives can assist you in determining precise power requirements depending upon hull drag, propeller efficiency, loaded weight, cruising speed and range requirement and battery systems installed. All electric drives are specifically designed for marine operation and rated for continuous duty, full load operation. Elco specified batteries are fully-sealed and maintenance-free, providing up to 1,500, 50% depth-of- discharge cycles. They are available in BCI group 31, 4D and 8D cases and may be vertically or side mounted to simplify installation and accommodate proper weight and balance distribution. Elco specified chargers provide the proper algorithm to optimize recharging times. When combined with Elco's control system they maintain the battery bank in float mode maximizing performance, reliability and battery life. Chargers are available with 30, 45, and 75 amp outputs and can be powered with standard 110 volt 20 amp or 110/220, 30 to 50 amp shore power depending on the size of the charging system. At the end of the last century, electric powered recreational motor boats outnumbered boats with steam and gasoline or "explosive" engines, as they were called, combined. While the range and power of gasoline eventually won out, "electric's" were appreciated and remembered because they were quiet, clean, simple and inexpensive to maintain and much easier to start and operate. Now, as we approach the end of this century, Elco, using new technology, has redesigned and reintroduced quiet, clean electric motor boats and electric drives for boats and sailboats as the environmental alternative to complicated, noisy, air and water polluting diesel and gasoline internal combustion engines. 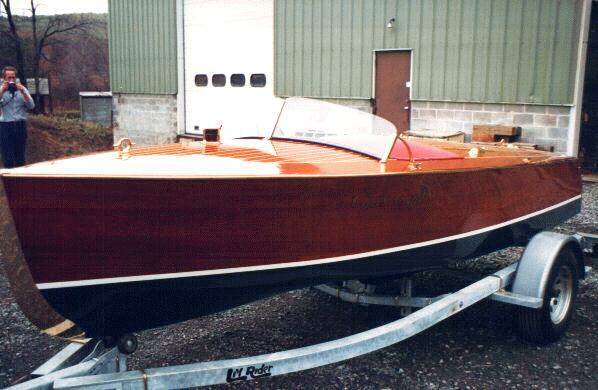 Gasoline engine removed and boat refinished. Customer now enjoys 5.3 knots/6.1 mph max cruise with a 7 hour range and overnight charging. I can't use a compass in my boat! Silly but it is true ... the steering wheel in the EWE BOAT is similar to that of a Model "A" Ford, black plastic over iron spokes. The iron spokes are the problem. I tried a compass years ago but found that when I turned the steering wheel, the compass moved - and not necessarily in the proper direction. 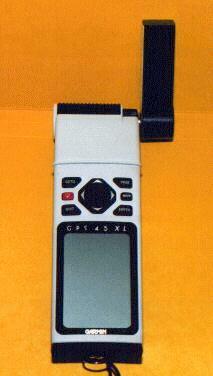 So, I found the solution, a handheld Garmin GPS. These units are readily available (I got mine at Wallmart) and the prices are still going down. Operation is simple and power is from AA penlight batteries. There is plenty of room for waypoints to your favorite cruising spots and the screen is backlit so you can use it at night without holding a flashlight in your lap. I consider this cheap insurance - So far it saved my hide twice!